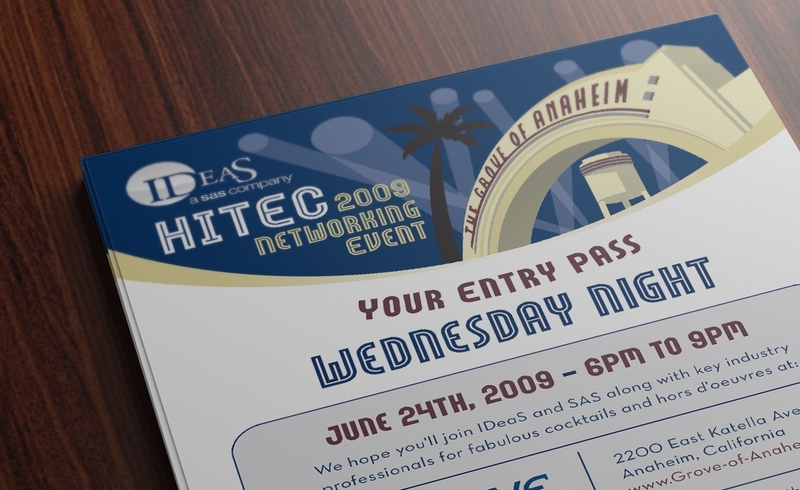 This is a 5×7 postcard hand-out invite used for a networking event at a conference. 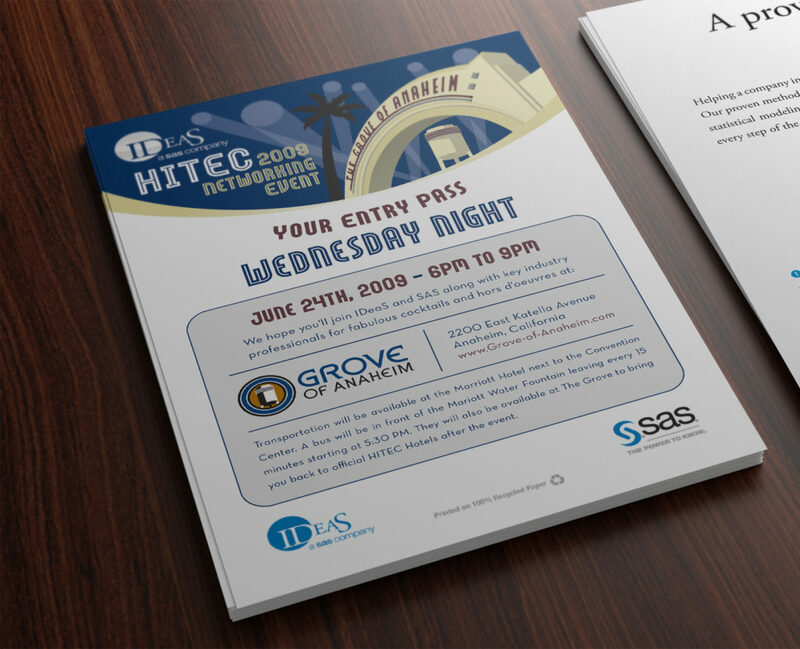 These evening parties were always about who had the coolest venue, and this invite showcased the exclusive movie studio themed event location. I worked on illustration, typography selection, color and layout.